Among the 41 models of new child booster seats for 2014, 27 have been awarded the Insurance Institute for Highway Safety's (IIHS) BEST BET designation -- more than in any prior year. In addition, 3 were named GOOD BETs and 8 boosters are in a category the institute calls "Check Fit." There are 3 new models that the IIHS does not recommend using as boosters. Prices for BEST BET boosters start around $25 and go up to about $370 -- depending on features -- and several models are LATCH compatible. LATCH, or Lower Anchors and Tethers for Children, is a system intended to make it easier to attach child restraints securely. Typically, LATCH has only been used with rear-facing or forward-facing child restraints. With or without LATCH, a booster provides significant safety benefits. In addition to information on models new this year, IIHS maintains ratings for older booster seats still on the market. Altogether, IIHS has ratings for 69 BEST BET and eight GOOD BET boosters, 35 Check Fit boosters and five Not Recommended seats for 2014. In a setback this year, three new boosters landed in the Not Recommended category: the highback Diono Olympia and Diono Pacifica and the Kids Embrace Batman No Back Booster. Shoulder belt fit is the issue with both Diono models. Highback boosters have guides to route lap and shoulder belts and can offer some head support. The shoulder belt guides on the Olympia and Pacifica put the belt in a position that touches the face in several safety belt configurations instead of placing the belt across the center of the chest. The guides aren't adjustable. In contrast, another new Diono model, the Rainier, earns a GOOD BET rating when used as a highback booster. The Rainier's adjustable headrest allows parents to change the position of the shoulder belt guide to achieve acceptable shoulder belt fit. Lap belt fit is the problem with the Batman No Back booster. The armrests that serve as the lap belt path keep the belt too far out on the thighs. A better choice for kids who dig superheroes, according to IIHS, would be a highback model from Kids Embrace, the Teenage Mutant Ninja Turtle booster, which is a BEST BET. Kids Embrace also sells a highback Batman and a highback Spider-Man booster, which would rate the same as the highback Ninja Turtle. Other BEST BET backless-only options are the Baby Trend Hybrid No Back and the Diono Solana. 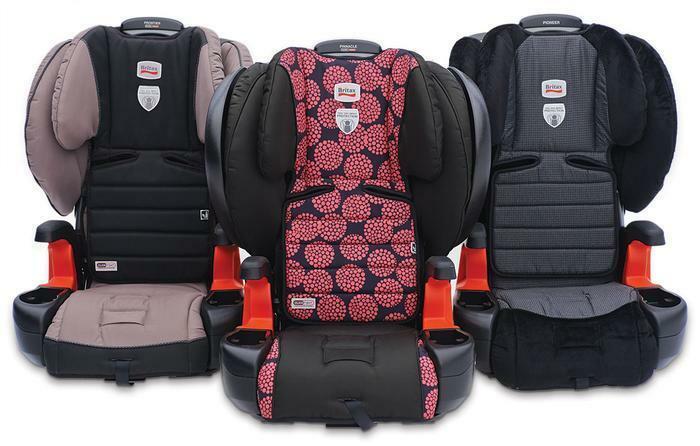 As with any child safety seat, consumers should be on the lookout for manufacturer recalls. The Institute includes recall information for booster seats with its ratings.